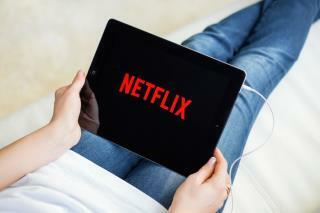 Is the streaming giant about to introduce downloading? Or I could get the DVD's and not hassle with the downloading. And have a bigger selection besides. Why don't you need the internet to download? For six years I downloaded all my entertainment as torrents, but still needed teh internet. Please explain to stupid me. In my village it's usually a rohipnol n chill default, so no worries big business, send our regards to the hangover industry instead.